Time spent in the great outdoors with a range of activities to suit all ages and abilities. Sessions usually last 2 hours whether a regular or one off event. Longer sessions take place in the holidays. 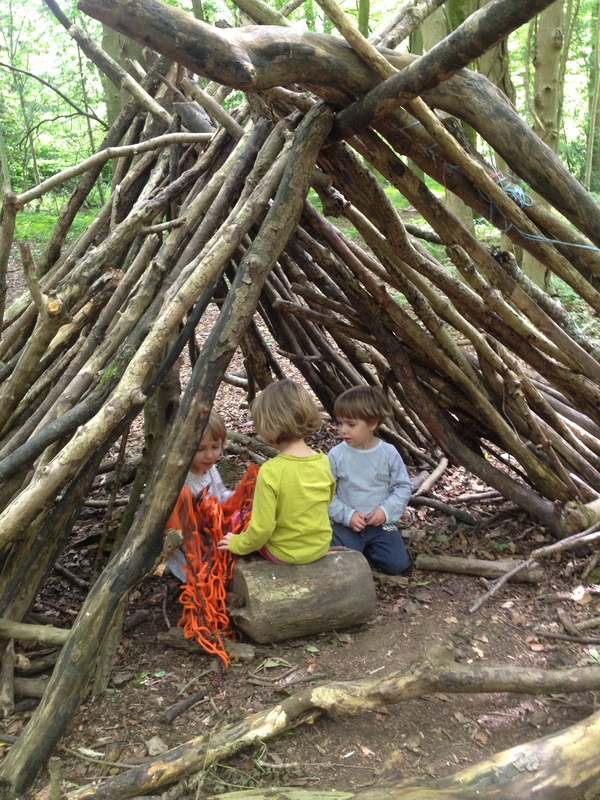 The sessions take place in Leigh Woods, Wraxall Piece or on any other suitable site which is convenient to the group i.e In the school grounds or local woodland. 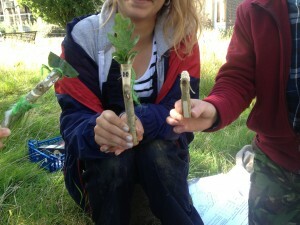 Wild Wood is all about getting out and experiencing the weather and seasons whilst learning and challenging yourself. Whether that is through building dens or crafting jewellery from elder, foraging for forest foods, lighting fires (without matches) and cooking, celebrating the seasons with stories and poems, whittling, blindfold games or learning through free play and exploration, the most valuable time of all. There is always time for free play although children will differ in their involvement with the main activity. Some will spend 5 minutes the others the whole session. For children to grow and develop and gain the most from Forest School a minimum of 6 sessions is recommended, ideally taking place weekly. 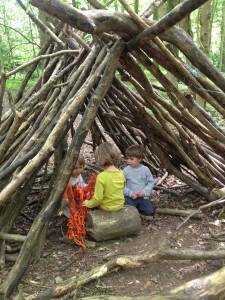 Research has shown that the benefits are far greater when children are given 6/12 weeks in the woodland space. Main Activity This can be a variety of seasonal activities such as leaf mobiles, nature art, sawing badges, fungi hunt, tree gazing, making forest spirits. Fire and snack (not every session) Clear safety rules apply. Children make their own bread, flapjacks or have simple snacks cooked over the fire such as chocolate bananas or crumpets. The main activity can support work in the classroom and we would welcome a discussion with the teacher at the start of each term. Half day and Full day sessions available. Please call to discuss costs. If your school has land available or a space that you feel could be used for Forest School then we would be happy to come and take a look.